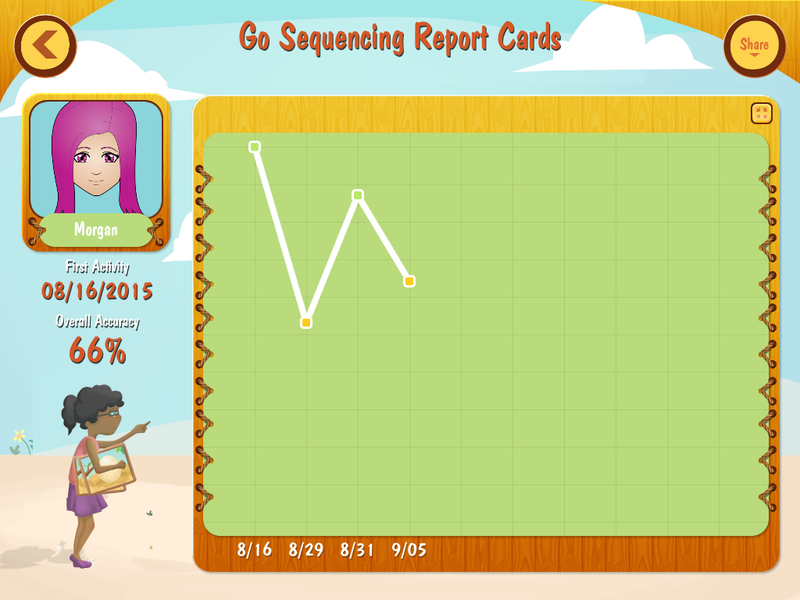 Go Sequencing is a multi-player multi-level app designed by a speech-language pathologist (no, not me). 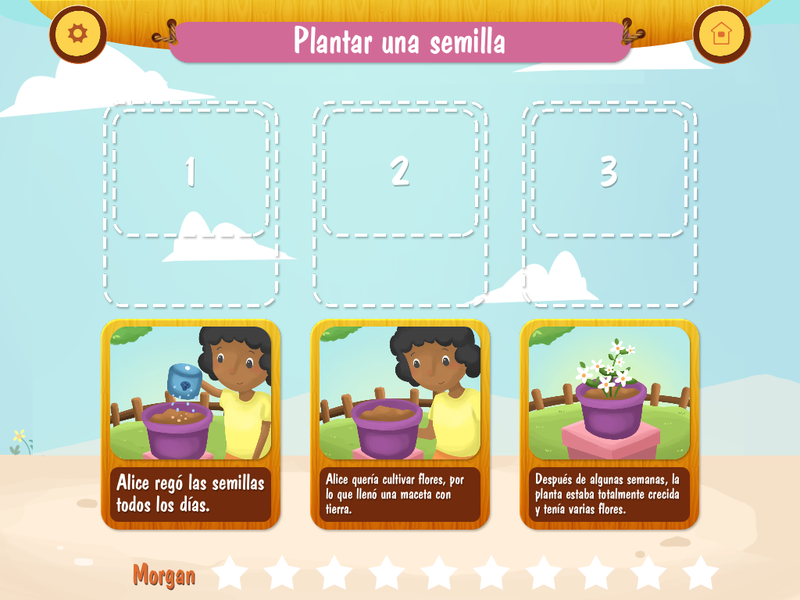 It is also a multi-lingual app with sequences (and reports) in English, Spanish, and Portuguese! 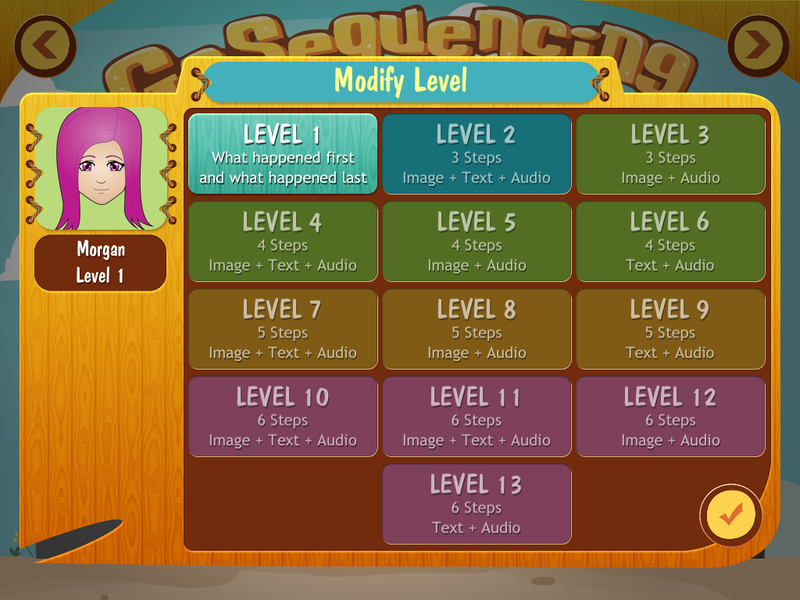 I love that it has multiple levels and the sequencing goes from easier to harder steps. There are 13 levels in all ranging from identifying what happened first and last to 6 steps using texts and audio (no pictures). I really like that the scenes are simple and not cluttered with distracting detail. Simpler screens are definitely a favorite of mine! 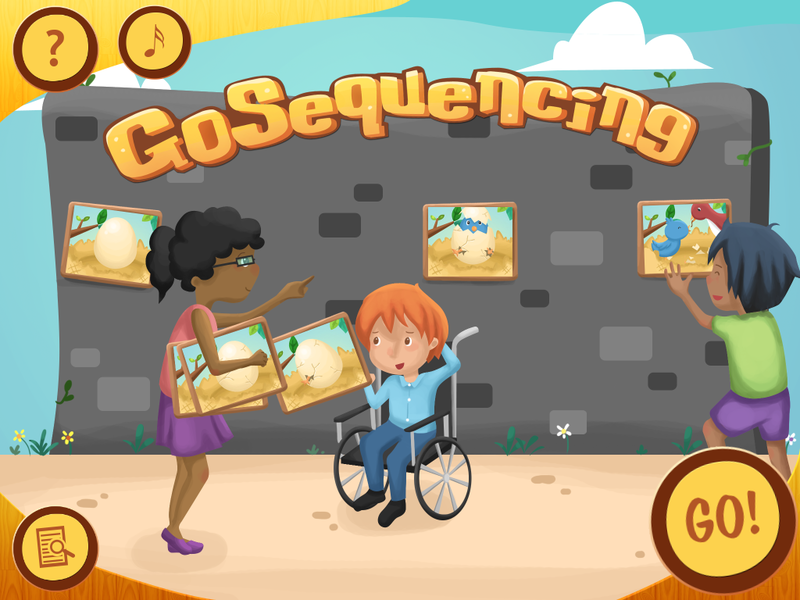 A fabulous feature is that I can create my OWN sequences as well. So, for a child that needs to practice a certain sequence, I can create it and we can practice how it will go. I love this feature and can see many uses for it. The student can win “prizes” too. 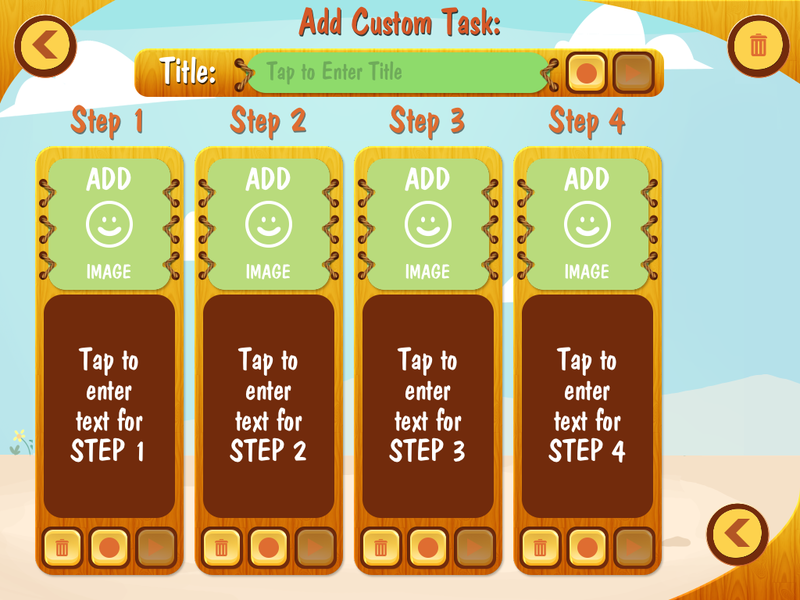 Each correct answer helps collect stars and complete the level. 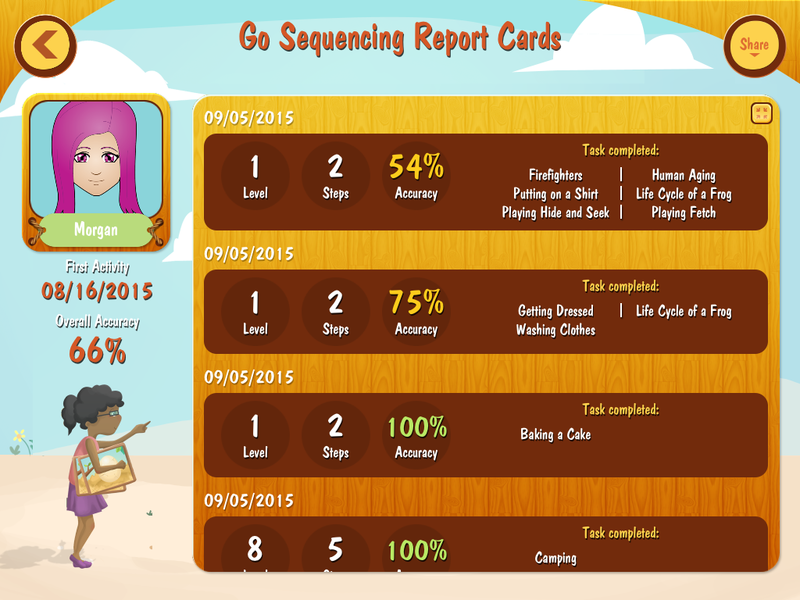 Of course, what Smarty Ears app is complete with out incredible data collection? I love being able to use the app repeatedly and have the data available at my fingertips. It makes it so easy to progress monitor my students. I have the choice of looking at the data here, or exporting it into The Therapy Report Center and having it with all the other Smarty Ears apps data. I honestly, have never found any other apps that keep data as well as Smarty Ears. All in all, this is a great app. The pictures are fun, the events being sequences are real-life events, and the ability to set the level where you want is amazing. Couple that with easy data collection, it ranks right up there with some of my favorites.